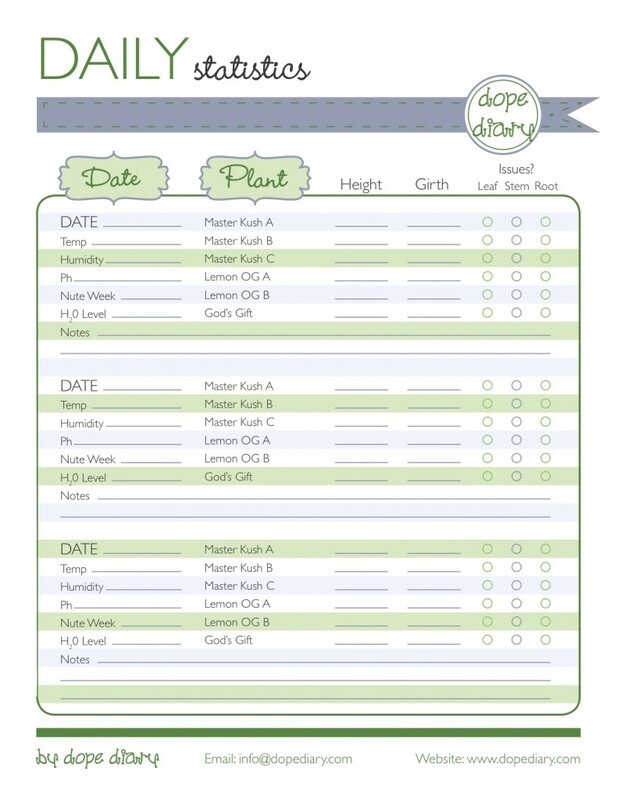 I have previously posted an Excel Spreadsheet that allows you to track your plants and grow room progress. I personally do not like to bring my laptop into my grow room (I am very clumsy). Instead, I use a handy sheet to write it down and then transfer it to the Excel sheet once a week or so. You do not have to do this daily obviously, whatever frequency works for you.